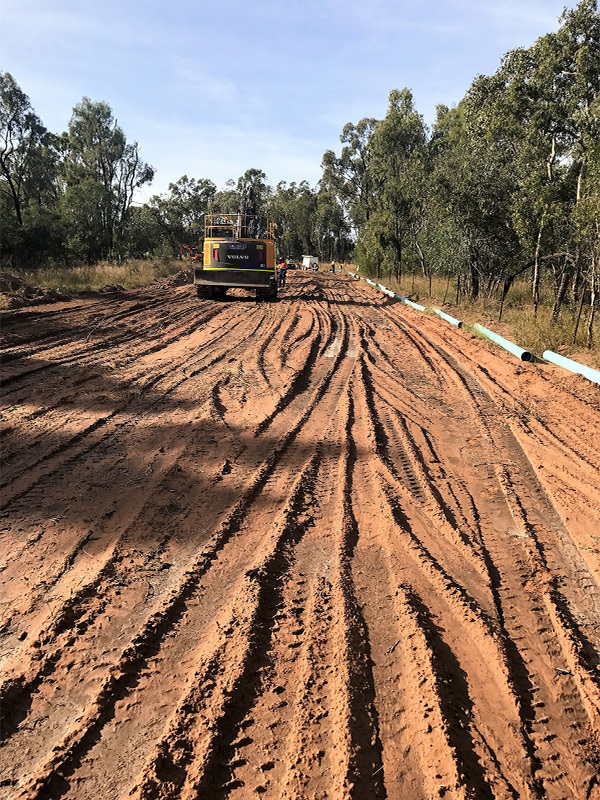 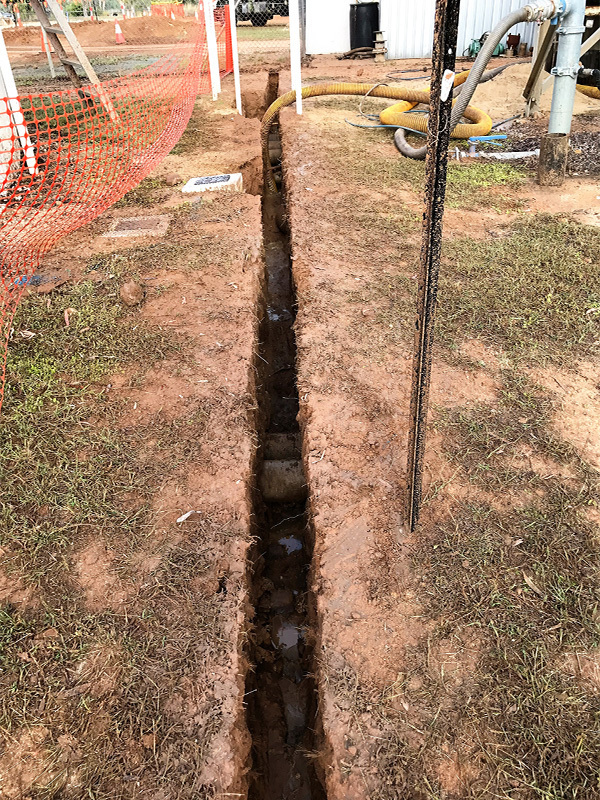 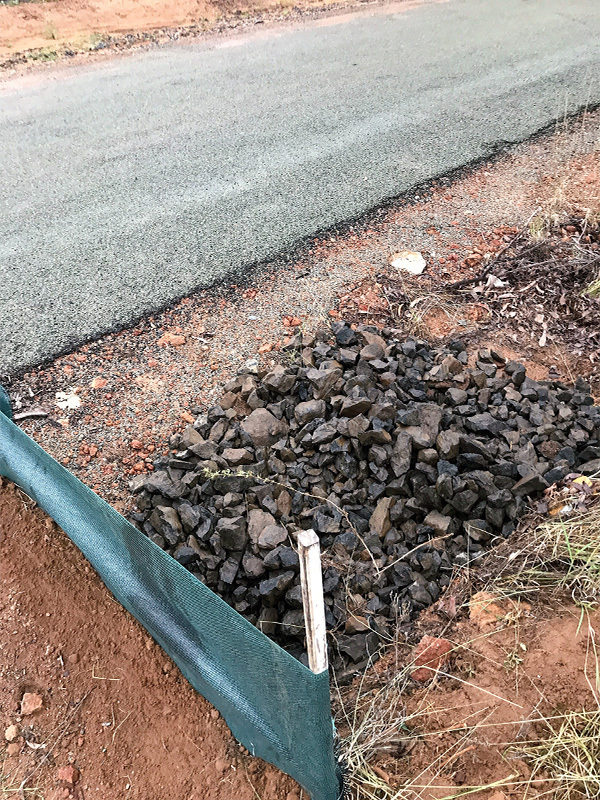 The Construction allowed for a completed connection of the two points namely the WTP and Township commencing at the existing Water Treatment Plant (WTP) network connection, following the detailed route along Normanby Street to the network connection at the corner of Blackall and Cairns Streets with allowance to connect and re-establish the residents network line at the eastern end of Blackall Street. 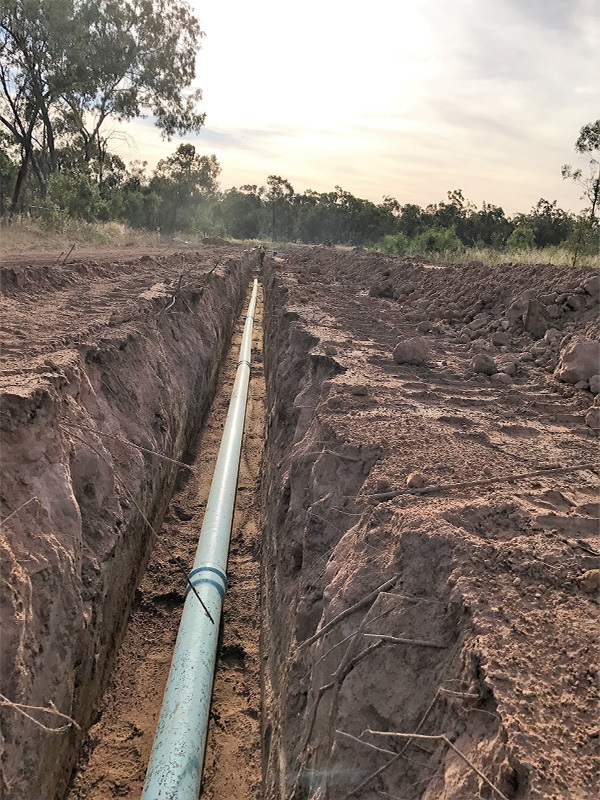 The Construction allowed for a completed connection of the two end points namely at both the Dingo WTP and Racecourse. 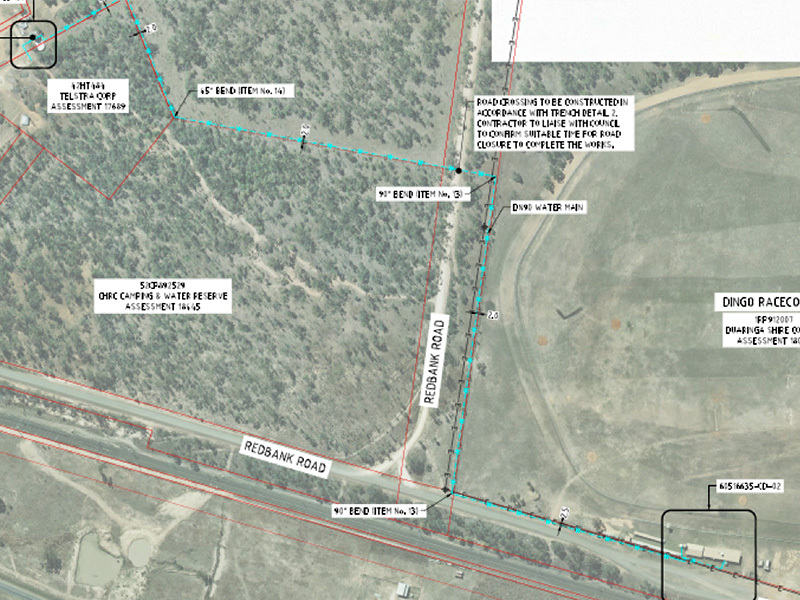 The connection at both end points included a suitable method of recording flow from the WTP end, and at the same time controlling service water flow entering the storage facilities at the racecourse on Oaklea Road as per design detail.